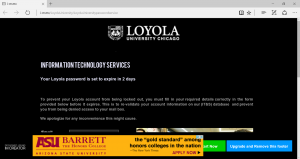 Several Loyola staff and faculty have received an email that appears to be from a Loyola email address requesting that they change their password. The link in the email will open to a page that looks to be an official Password Change page from the university. Although this page is not in the normal Loyola format or colors, it looks convincing enough to trick someone into providing their information. From what we understand the page’s intent is to only harvest information, namely the UVID, password, DOB, and gender. 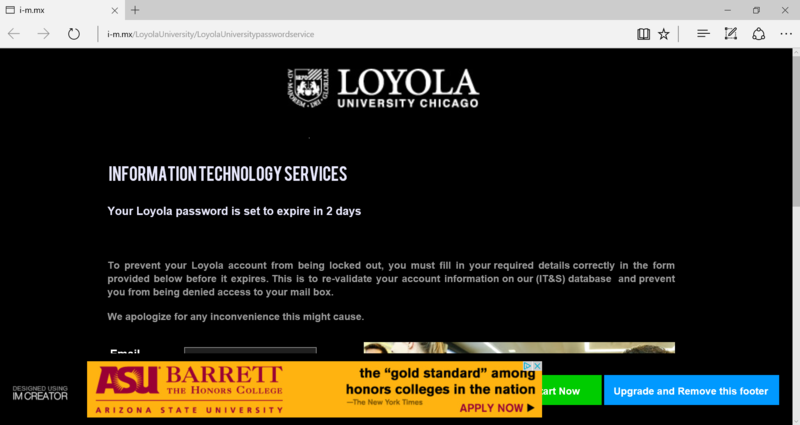 If you fall for this scam, please change your password immediately using the official Loyola Password Management application https://www.luc.edu/password.